A shady yard can be a beautiful yard! The colors, shapes and textures of a shade garden can often lead to the creation of a favorite garden spot. Many types of plants prefer more sun than shade including certain trees, shrubs, perennials and annuals. A full shade location is considered to have 4 or less hours of direct sunlight. Part shade is less than 4 to 6 hours of filtered or direct sunlight. Remember that afternoon sun is much more intense than morning sun and many shade loving plants can tolerate a limited amount of morning sunlight. 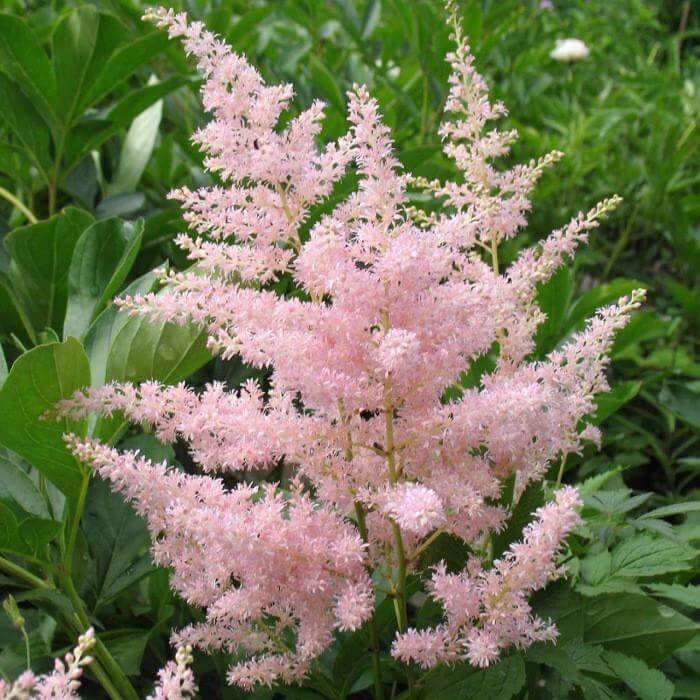 Here are a few of our favorite shade loving shrubs and perennials. These plants will provide a beautiful seasonal backdrop to a lush shade garden. Hostas are considered by some to be the number one selling perennial plant. It is truly a spectacular foliage plant with some varieties producing beautiful blooms and nice fragrances. Like other perennials, every year they become larger and more full. 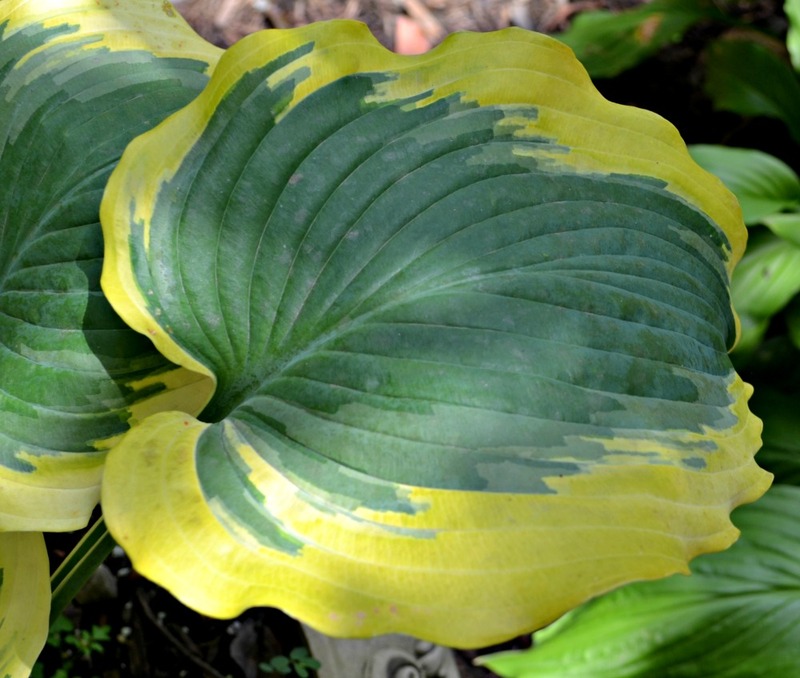 With all the choices in color, texture, size, and patterns on leaves, the hosta has become a favorite of many gardeners to use in shady landscape areas. When given proper watering–averaging 1.5 inches per week spread out over seven days–hostas should thrive in zones 4-9 with just a few additional requirements. Morning sun or dappled light promotes good leaf color and flower production. 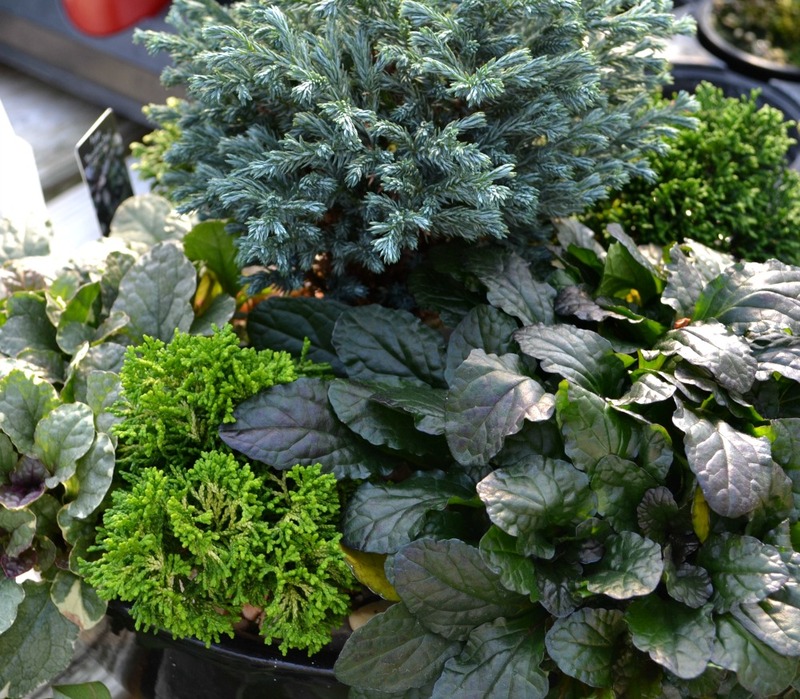 A spectacular evergreen perennial that is sure to bring combination plantings to life! 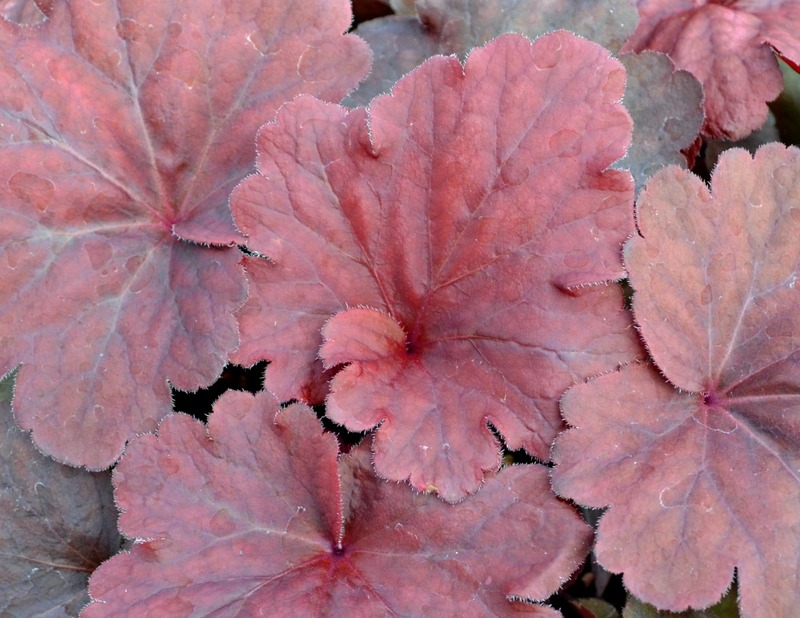 Heuchera come in a variety of colors from bright chartreuse to deep purple. 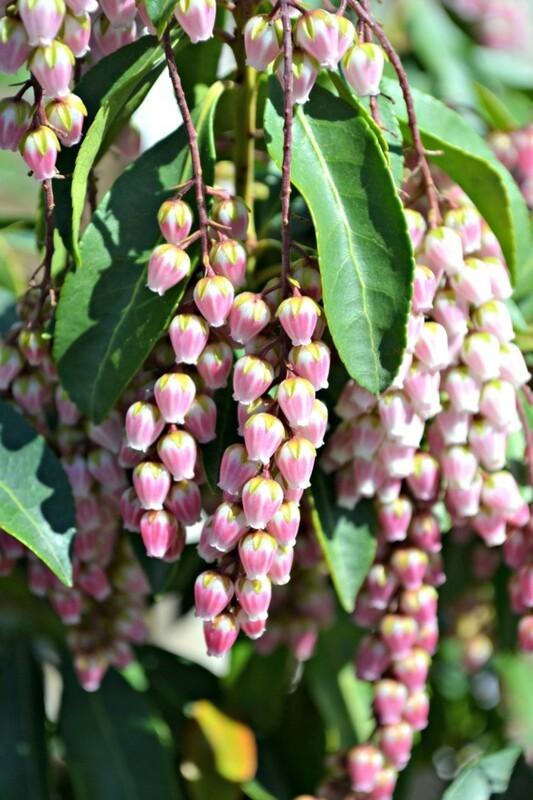 Each variety bears bell-shaped flowers that are held high above the foliage in spring. These spectacular plants have a mounding growth habit with most selection growing just 1′ tall and wide. The foliage is deer resistant and the flowers attract hummingbirds. Thin blades of gold and green leaf blades emerge from this semi-evergreen perennial grass. Carex varieties (also called Sedge) are great for edgings, groundcovers, or for texture and height in mixed pots. Most varieties grow in a weeping habit to 8-10″ tall. 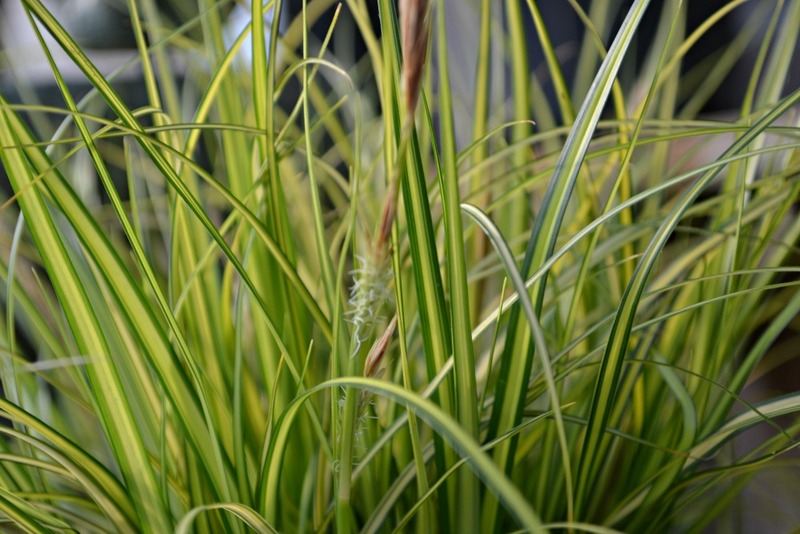 While many ornamental grasses prefer full sun, Carex thrives in part shade to full shade. 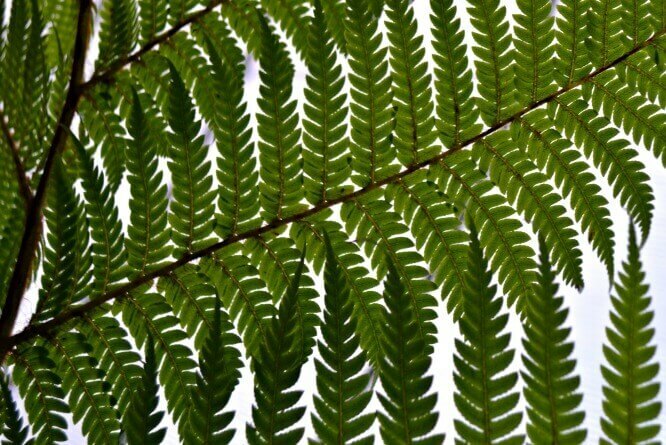 The “Ghost Fern” boasts grey-green foliage that seems to glow in the shade. Anthyrium is a deciduous fern with frosted silvery fronds accented by delicate wine-red stems. This fern produces the best color with morning sun or filtered light. Anthyrium is deer resistant and grows 18-24″ tall. Ajuga or “Bugelweed” is a beautiful addition to any garden when planted with hosta or ferns to contrast textures. Excellent choice for ground-cover with foliage with a metallic shine. Many varieties change from olive-green to reddish purple as the temperature drops. Ajuga blooms in mid to late spring in colors ranging from purple to pink to white, depending on variety. Varieties can grow from 6″ to 12″ in height in a mounding or spreading nature. This evergreen perennials is also deer resistant and the flowers attract hummingbirds. Asilbe, or False Spiraea, is a shade gardening favorite with many colors and textures to choose from. The vibrant spring blooms range in colors from pink to white to read and make great cut flower for arrangements. Most Astilble varieties grow to around 16″ tall, are deer resistant and attract butterflies. Japanese Aralia has big, dark green fan-like leaves that give it a tropical appearance. Round clusters of small white flowers appear in fall. 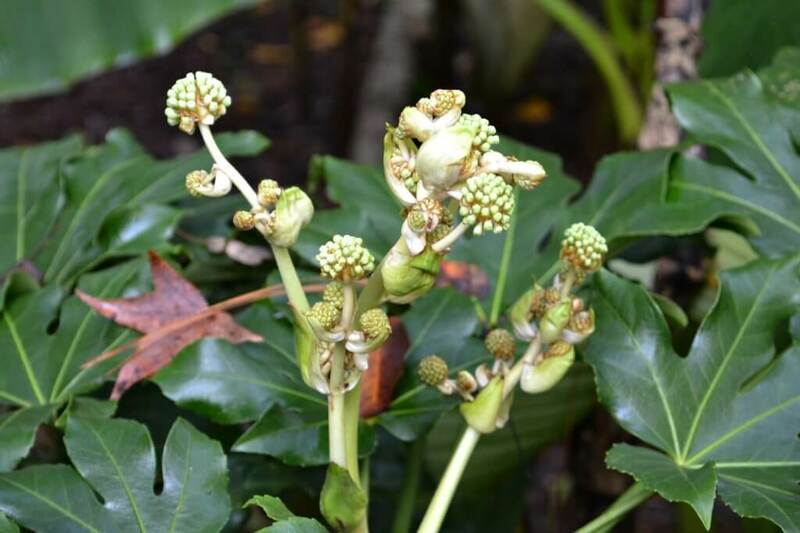 This plant is a great option for a specimen plant and can offer a tropical feel in a shady location. ‘Climbing Hydrangea’ is a vigorous climbing vine that clings to surfaces by aerial rootlets. It has a slow growing, shrubby habit until established, then becomes quite vigorous, producing long, fast growing stems. Lush green foliage is blanketed with magnificent, white lace-cap blooms in summer. Pieris is one of the most colorful evergreen shrubs that can brighten any shade garden. It produces beautiful lily of the valley type flowers in early spring among the flame red new growth. 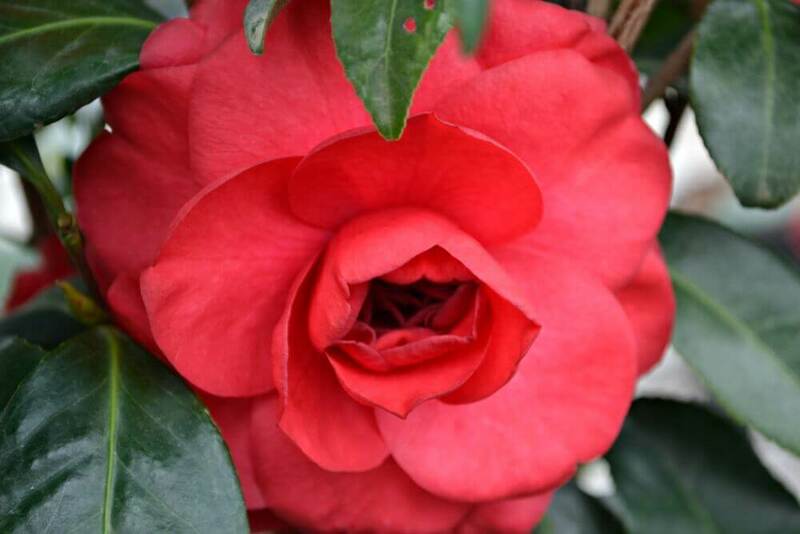 This Camellia is a fall blooming shrub with bright red-rose flowers. It’s glossy green leaves and vigorous growth habit are a plus. Great foundation option or under-story plant. This Cephalotaxus is commonly known a Spreading Plum Yew. This is a slow growing low maintenance shrub. The green needle foliage adds great texture to any garden. Please remember that these are just a very FEW of our favorite shade loving shrubs and perennials. There are SO MANY more. Stop by and we’ll help you select your favorites!